Ham and Petersham have such a large concentration of historically significant houses that I felt they needed to be better known. This was one of the leading factors that encouraged me to research these areas. There are relatively few books on these parishes compared to other parts of the London borough of Richmond upon Thames. Ham House being a National Trust property has a high profile and is well known, but to a certain degree some of the other houses in the vicinity have been overshadowed and their importance, I think, needs to be highlighted. Some extremely distinguished persons resided in both Ham and Petersham, for example Captain George Vancouver (1757-1798) the famous navigator, lived in Petersham at Glen Cottage in River Lane and he was buried in St Peter’s churchyard not that far away from where he lived. Vancouver died tragically young at the age of forty so it is remarkable that he achieved so much in such a relatively short span of time. The house that he lived in ‘The Glen’ dates to the 1670s, so is far older than appearances would indicate. It is very likely that Vancouver wrote his seminal work at this house ‘Voyage of Discovery to the North Pacific and Round the World’. 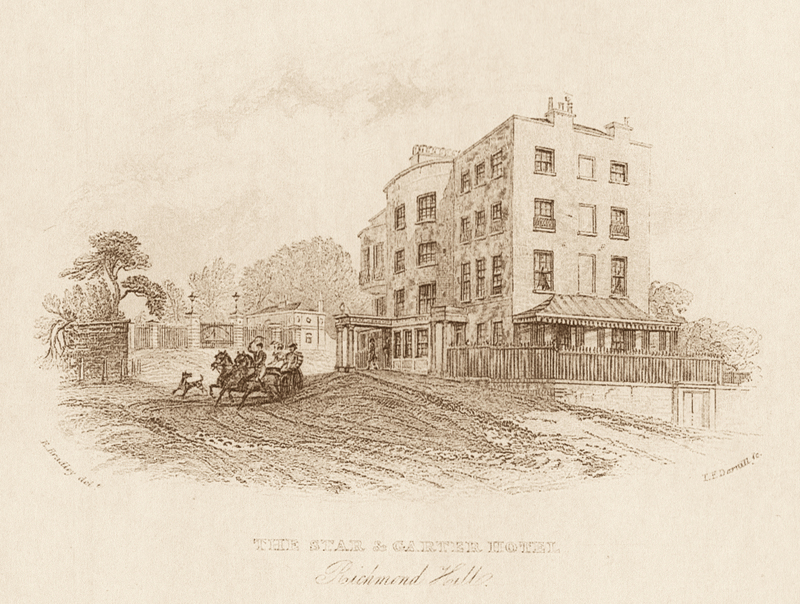 Another famous name linked to Petersham was that of Charles Dickens who resided at Elm Lodge, and periodically took his friends for various celebrations to the Star and Garter Hotel. No doubt he would have gone for long recreational walks around Petersham, which would have been far more rural at that time than it is now. 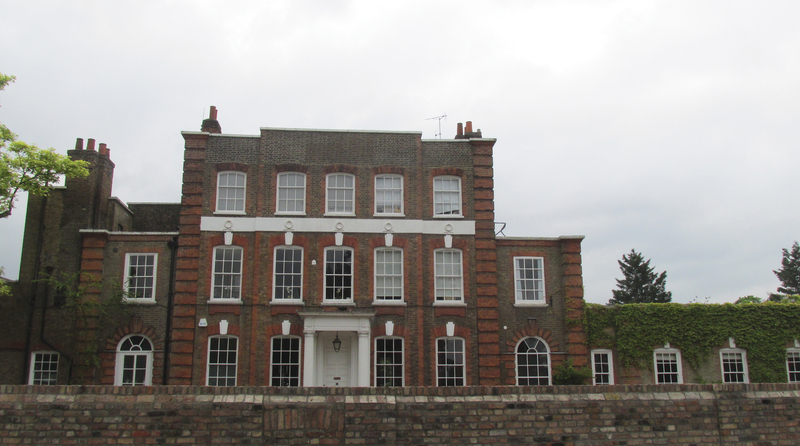 Lord John Russell, the Prime Minister from 1846-52 and from 1865-66, lived at Pembroke Lodge in Petersham and died at the lodge on the 28th May 1878. As regards to Ham, the writer Miss Hesba Stretton, who contributed stories to Dickens’ ‘Household Words’ and to ‘All the Year Round’, lived at the Little House on Ham Common from 1891 until her death in 1911. As to more contemporary persons of note, Tommy Steele, the well-known pop star of the late 1950s and early 1960s lived at Montrose House. Many people associate this house with Tommy Steele, but there have been other distinguished residents before his occupancy. The Dowager Duchess of Montrose lived here from 1836-1847, the house being named after her. I have also included some rare photographs of the gravestones and memorial slabs of famous dignitaries buried in the churchyard of St Peter’s church. These include the Berry sisters, Agnes and Mary, who were friends with Horace Walpole and another notable person is Theodora Jane Cowper, the cousin of the famous poet William Cowper (1731-1800). The book also portrays an unusual plaque in St Andrew’s Church in Ham of the Australian explorer Edward Boradaile (1845-1874) who it is believed perished of starvation whilst trying to reach Port Essington in the Northern Territories. A mountain in Australia was subsequently named after him. 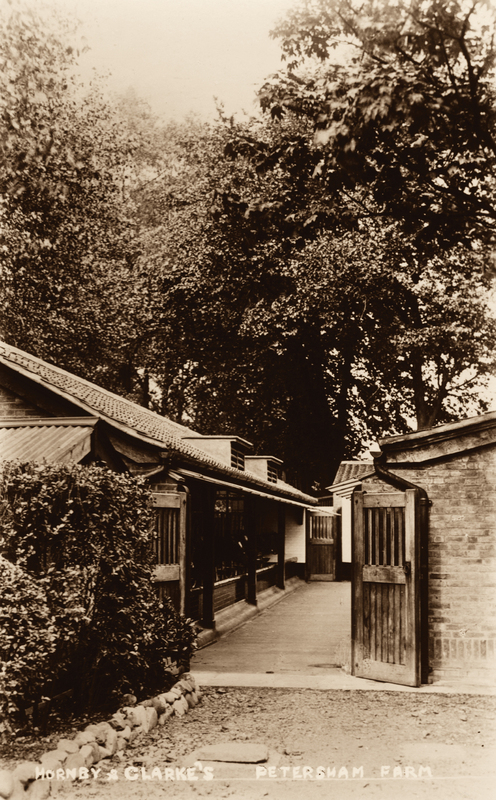 Some rare photographs never published before are shown in the book, in particular, the view of the back of the cottages in the Petersham Road taken in the 1950s. Also the schoolhouses in Ham Street which date to the 1840s and to my knowledge have not been researched before. 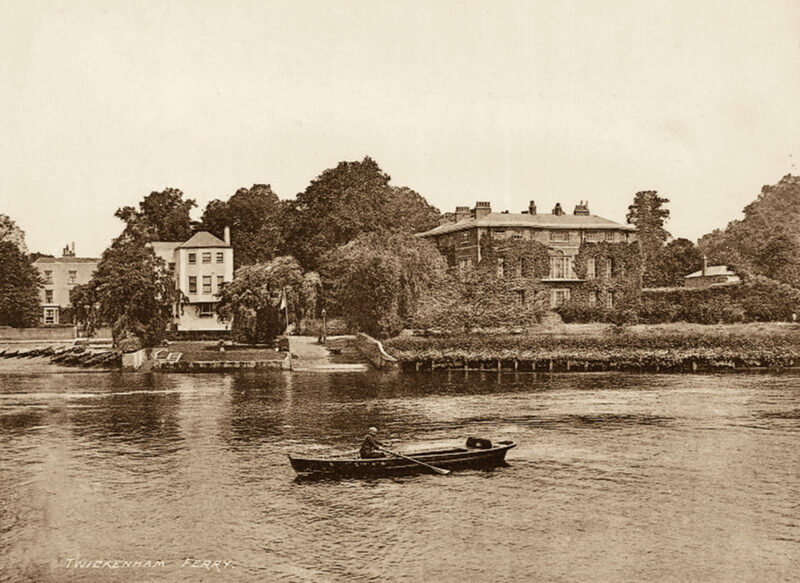 The book also contains photographs highlighting Petersham’s agricultural past, notably, Walnut Gathering, Petersham with Richmond Bridge in the Distance and Haymaking in Petersham, 1890. There are two nostalgic photographs of Hornby and Clarke’s dairy, one depicting the milking sheds along River Lane, which no longer exist and another showing some of the employees with milking stools and containers. Hornby and Clarke’s dairy was in business from 1870 until 1935 and they grazed their herd on Petersham Meadows. I hope this book will show that despite the inevitable changes that the 21st century has brought to Ham and Petersham, both have, fortunately, retained something of their former rural identities and that many of the important houses have survived and have important histories to divulge. 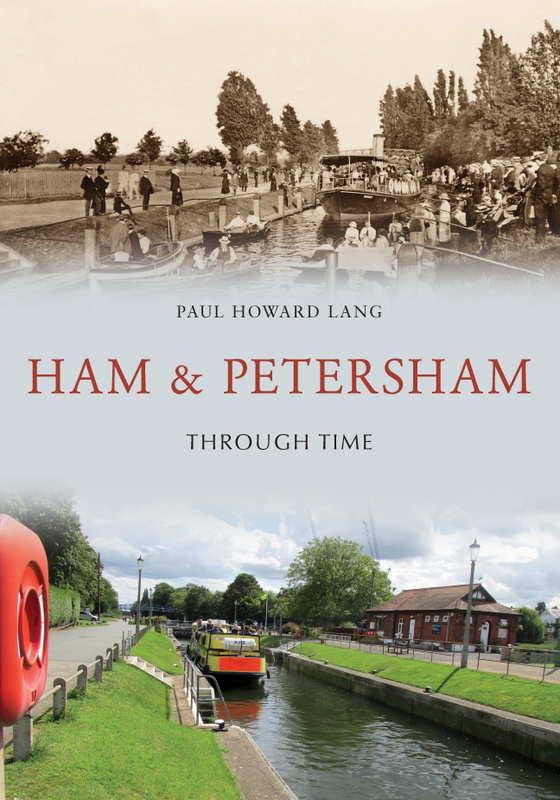 Paul Howard Lang's new book Ham & Petersham Through Time is available for purchase now. This entry was posted in Blog and tagged Petersham, Ham, Ham & Petersham Through Time, Through Time Series, Paul Howard Lang, London, Local History, Amberley Publishing on July 6, 2018 by Amberley Publishing.